The stunning Wachau Valley offers walkers a heady mix of beautiful scenery and exquisite food and wine. What’s more, the area is tantalisingly close to the cultural temptations of Vienna and the atmospheric old town of Krems. Take time to discover the Wachau Valley, not far west of Vienna, where the mighty River Danube cuts deeply through forested glens, passes vineyards carved out of hillsides, meanders between gently rolling hills and timeless rural villages, and cruises alongside imposing abbeys and mysterious castle ruins. The Danube (Donau), one of Austria’s greatest natural features, flows from Germany, through the Danube Valley and Vienna, and eventually into Slovakia; then to Hungary and on towards the Black Sea. Wachau is just a small section of the vast distance that the river covers but that’s not to belittle this UNESCO World Heritage Site and one of the most beautiful river landscapes in Europe. This sun-caressed valley that follows the Danube for around 33 kilometres (21 miles) from Melk to Krems an der Donau in the province of Lower Austria (Niederösterreich) is a little slice of heaven. 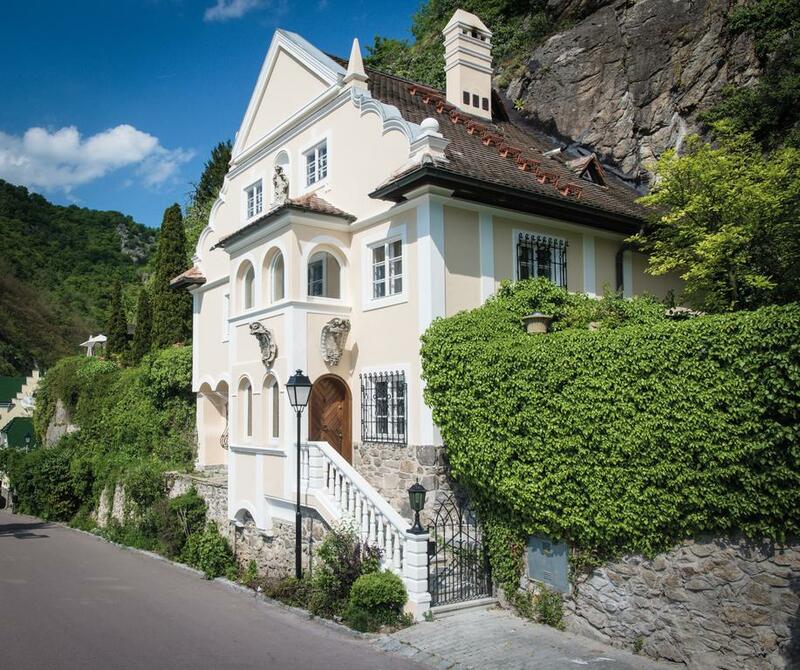 A world of splendour awaits you in the Wachau; in between the open, green spaces are examples of truly stunning baroque architecture, in the most romantic towns and villages. An extensive network of walking trails connects the most beautiful spots and attractions. Since time immemorial, the Wachau has inspired every kind of artist. Numerous photographers and film-makers have been captivated by the scenery. Renowned Austrian painters Stefan Simony, Eduard Zetsche and Johann Nepomuk Geller spent time in the Wachau, drawn by the land and the light. Some of their works can be viewed in the Wachau Museum in Weißenkirchen. In the 1950s, Austrian actors such as Waltraud Haas and Hans Mooser made the Wachau famous throughout the German-speaking world. There are a number of small towns in the Wachau, the most notable being medieval Krems an der Donau, which has a history spanning 1000 years. Nestled on the northern bank of the Danube and enveloped in terraced vineyards, Krems has long been an important centre for the wine trade. Today, the area a a whole is renowned as something of a wine and food-lovers’ paradise. The regional cuisine is a rich tapestry of flavours and textures that give rise to pure gastronomic delight. Hand-picked apricots (blooming in April) are just one of many local delicacies to spring from the orchards, river, and fertile pastures that make up this beautiful land. Vines are warmed by strong, clear sunlight during the day then cooled at night by the evening breezes. The growing season is long, which means a slow ripening period producing the exciting flavours that make the Wachau vines so distinctive. The Wachau Valley is not just about lovely scenery, culinary delights and a rich culture; it is also a haven for marvellous hikes. Enjoy blissful walking along gentle tracks through vineyards; enchanting valleys sprinkled with fruit and almond trees, lush woodlands and ancient trails that lead to ruined fortifications and other mystifying vestiges of time. A myriad of well-marked trails can be found dotted along this outstanding river landscape. Climatically, two strong influences converge in the Wachau valley: the Western Atlantic and the Eastern Pannonian conditions. Hot, dry summers are counterbalanced by the large water surface of the Danube. Cold winds can cause extensive differences between temperatures, especially at night time, whereas the steep slopes and the rock walls store warmth during the day. Spring and autumn are the perfect seasons for walkers. Contrast the dreamy landscape of the Wachau with urban energy ● Less than an hour from Vienna ● One of the oldest towns in Austria ● Marks the beginning of the Wachau Valley ● Surrounded by scenic vineyards with lots of walking and rambling trails ● Story-book pretty old town ● Ideally placed for walks in the Wachau Valley. Arguable one of the most romantic and beautiful stretches of the Danube ● Picture-postcard villages with charm and character ● Numerous well-marked walking trails ● Steep terraced vineyards and countless wine taverns ● Ruined hilltop castles and a mass of apricot blossoms in springtime ● The truly spectacular monastery Stift Melk.